blah blah There are at least a dozen pubs within easy walking distance of our home in Fitzroy Street, central London. They range from the traditional, the youth oriented, gambling oriented, soccer-mad, thoughtful, neighbourly, gastro, historic, to just plain boring. This blog will aim to identify, on a very subjective basis, the pubs in this area and around London that I think are worth visiting. My criteria are equally subjective: prominent will be the availability of real ale and its newer cousin, craft beer; good service; pleasant surroundings; a good range of beers; availability of food; attractive building and decor. That will do for a start. and so on. I have visited some of these pubs over the years but my list is solely my own. Stay tuned. My first noteworthy pub is not in London. It’s not even in England, or in Britain. It’s the Loft Bar in Ballina, County Mayo, Ireland. What is it about the Loft Bar that merits it being first off in my new blog? After all, I’m breaking my self-set rules about location. Nor does the Loft have a good range of real or craft ales. What it does have is good company, good stout and friendly staff who certainly made my son Jim me at home on a visit to Ireland from London in October 2014. We were spoiled in our two days in Dublin by spending time in two music pubs — the Cobblestone and the Porterhouse — which had rollicking Irish music and a fun crowd. 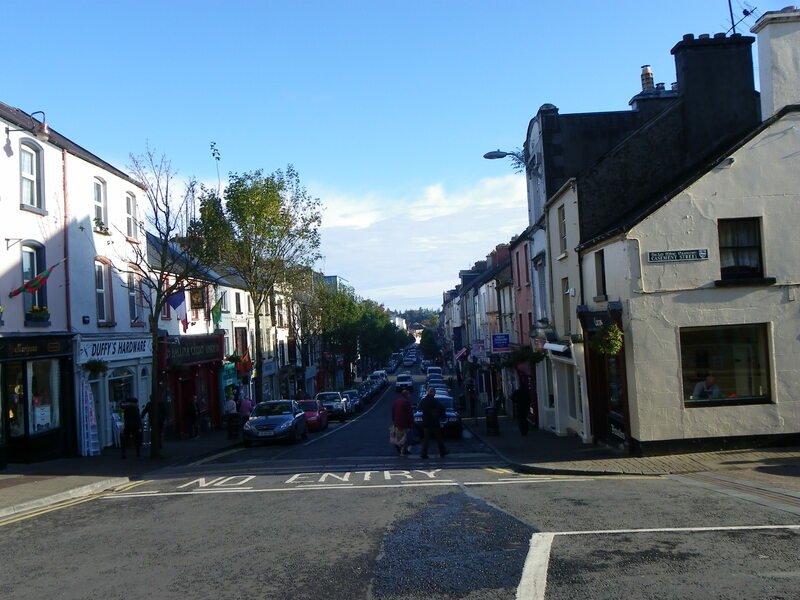 Now, in Ballina, a town of about 10,000 people, there are about 10 pubs. In October, the music is gone, the recreational fisherfolk are gone, and most of the tourists are gone. But the Loft Bar has good craic — a happy feeling, fun ambience and a very friendly bar manager in Robert, supported by his brothers and by Declan the bar assistant. Jim and I had a comfortable room upstairs and enjoyed good Irish breakfasts, occasional good bar snacks, a coal fire, and friendly customers and staff. There’s a typical range of beers at the bar in the long, narrow barroom, plus a good number of Irish whiskies and other spirits.